Mag. 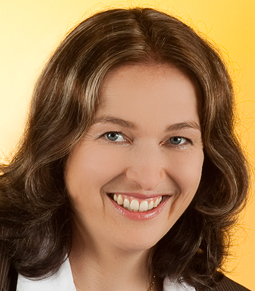 Andrea Maria Fenz former Managing Director of APS – European Programmes for Research, Education and Training in Austria from 1995 – 2009 in collaboration with Austrian Ministries, regional government and Chamber of Commerce. Experience in European funding programmes since Austria joined the EU in 1995, EU network of Innovation Relay Centres office for Southern Austria. Partner in 40 European projects in education, research, innovation and innovation. She is a ISO/IEC 17014 certified trainer and an ECQA Certified trainer for various professions including EU Project Manager, Researcher Entrepreneur, Innovation Manager, IT consultant for SME software selection, Governance SPICE Assessor and Lean Six Sigma Yellow Belt. She is also a trainer for German as a Second/Foreign language for German language and integration courses. Trainer for European Union affairs, Project Management, Project Development etc.